At the heart of the Province of Ontario is the City of Toronto. Toronto is the provincial capital and is in many ways the economic engine for the entire country. It is the financial centre of Canada, the 3rd largest financial centre in North America, employing 205,000 in the financial sector.Toronto is headquarters for 6 of Canada’s top insurers that manage over 90 percent of the industry’s assets and home to Canada’s 5 largest banks, 50 foreign bank subsidiaries and branches, and 112 securities firms. It is the nation’s largest employment centre, with one-sixth of Canada’s jobs, and strong employment in both manufacturing and service industries. The City of Toronto website has an abundance of resource material on all aspects of the city (Click here to go to the official City of Toronto website). Changes in the immigration policy in recent decades have attracted a great number of people from all over the world and the greatest concentration of these recent waves of immigration has been in Ontario and in particular in the City of Toronto! Toronto is located in the most diverse region of Canada. Changes in the immigration policy in recent decades have attracted a great number of people from all over the world and the greatest concentration of these recent waves of immigration has been in Ontario and in particular in the city of Toronto. To put this in perspective, according to Statistics Canada, by year 2017 or sooner, the ethnic minority will become the majority in the Greater Toronto Area (Learn more about the Greater Toronto Area).Toronto is the largest urban centre in the country to receive immigrants. Every year, over 100,000 immigrants land in the Toronto 2006 Census counted 2,320,200 foreign-born people in Toronto and the surrounding metropolitan areas (Toronto Census Metropolitan Area). This accounts for 38% of all immigrants in Canada. Between 2001 and 2006, the foreign-born population grew by 14%, compared to 5% for the Canadian-born population. In 2006 the foreign-born population accounted for 46% of the total population, up from 44% in 2001 (Statistics Canada, 2007). In 2006, 32% of the population identified themselves as Catholic, 22% Protestant, 4% Orthodox, and 4% other Christian denominations (Statistics Canada, 2010). 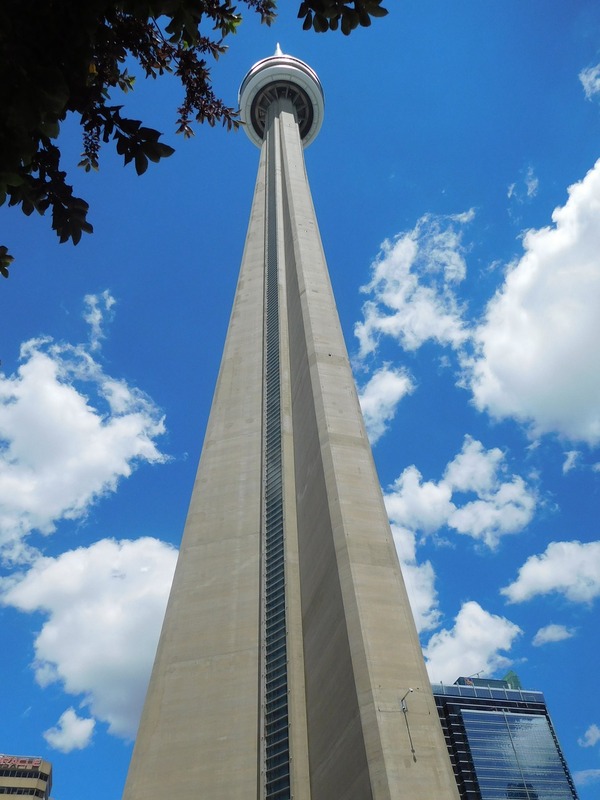 According to the 2006 Census, the Toronto Census Metropolitan Area (CMA) had approximately 5.1 million people with approximately 2.5 million of those people within the actual city of Toronto. Nearly 44% of the people living in the Greater Toronto Area (GTA) were born outside of Canada. The Golden Horseshoe (Toronto , Hamilton, Guelph , Peterborough , Barrie, Orillia , and the regions of Halton, Peel, York , Durham , Waterloo and Niagra) had a population of 8.1 million or one-quarter of Canada . Toronto has received 43% of the immigrants who came to Canada since 1985. Nearly 1 in 5 immigrants to Canada from 1996 to 2001 were Muslim raising the total Muslim population in Metropolitan Toronto to over 254,000 residents. Over 100 languages and dialects are spoken in Toronto proper alone , and over one third of Toronto ‘s residents speak a language other than English at home. For the October 22, 2018, municipal election, the City of Toronto used a 25-Ward model (seen to the right). Information regarding the Wards from the 2016 Census is also included. Toronto’s City Council is made up of 26 members — the Mayor, and one City Councillor from each ward. Click here to look up your address and view a list and profile of all members of Toronto’s City Council. 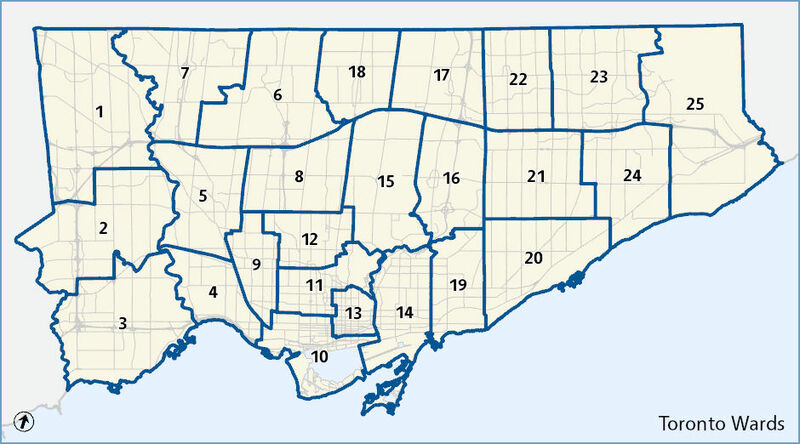 To find archived information about Toronto wards, select a ward from the 44-Ward model map below. Clicking on the numbers will take you to the City of Toronto’s ward profiles. A broad range of information (like immigration patterns, ethnocultural makeup, employment, income, families and shelter costs) can be discovered about each geographic area in Toronto.